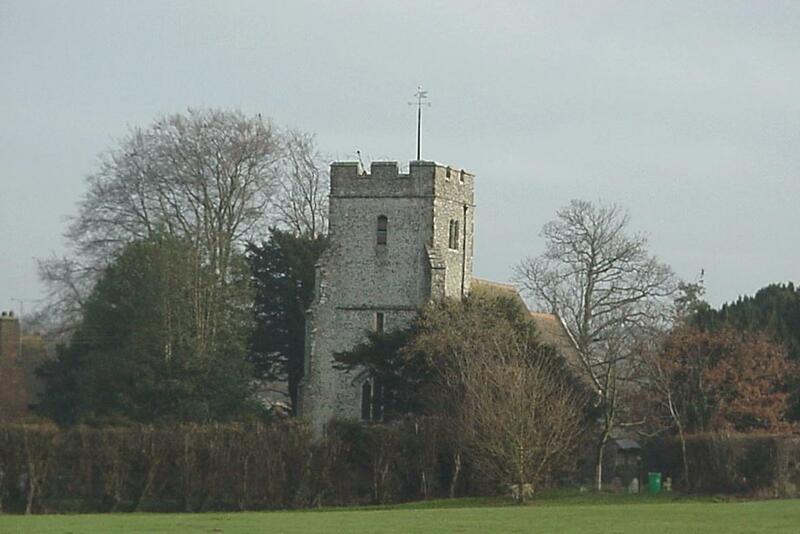 St. Giles Church, Kingston, probably originated in the 12th Century, but was extended mid-14th Century, at which time the belltower was added. In this view the lean of the belltower can be clearly seen. A porch was added in 1813 and extensive restoration work was carried out in the 19th century. 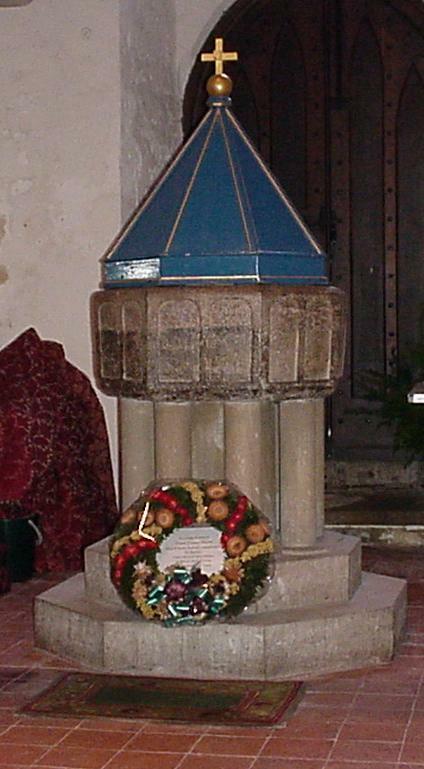 Inside the belltower is the 13th Century stone baptismal font. At some time in the 17th or early 18th century it was discarded and served as a feeding trough for cattle on Marley Farm (now Whitelocks Farm). It was rescued by Rev Bryan Faussett in the late 18th centruy and taken to his home in Canterbury and stored. It was found and returned to Kingston in 1951. After being set on a new stone base it was reconsecrated and used ever since for christenings. The belltower contains three bells, the oldest of which, made by William le Belystere in 1356, is cracked and unusable. One of the other bells is inscribed "Ioseph Hatch me fecit 1610" (Joseph Hatch made me 1610).